Older Nintendo fans most probably remember (unless they are THAT old) losing their sleep due to one game/addiction. It was the Donkey Kong, introduced also in Nintendo NES. What a game! Inspired by one of the most awesome arcade games in Nintendo history, the CapsuleKong is exactly what the name suggests. 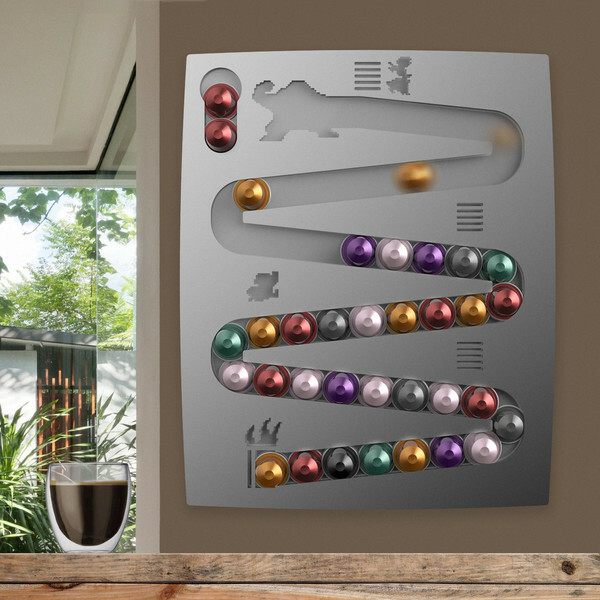 A wall mounted display for Nespresso® Pods including smart cut-outs of the characters such as Mario and Donkey Kong which look exactly as the graphics you would expect from the original game. The spacing within the display, as well as the angles, allow the capsules to roll down from top to bottom, easily and effortless. 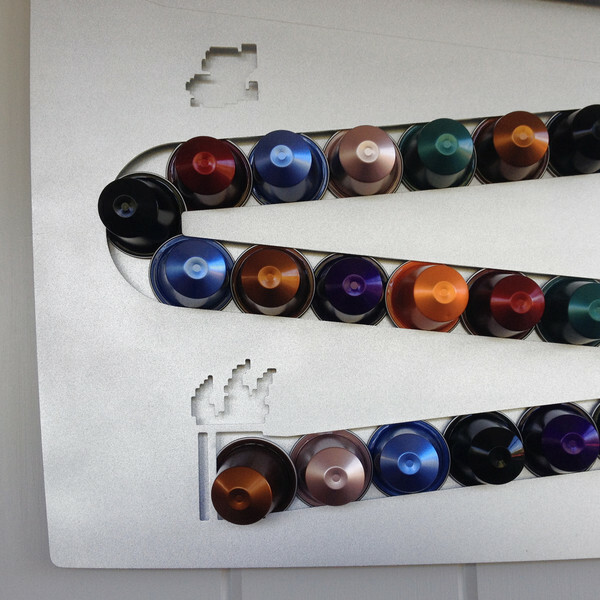 The CapsuleKong is made out of Anodised Aluminium and the maximum capacity is 50 Capsules. What a great gift for a coffee lover and Nintendo geek. Does your capsule display look that cool?